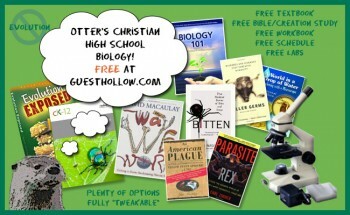 Check out this free homeschool high school Christian Biology curriculum at Guest Hollow. This is a full year curriculum ready for you to use. Find more free homeschool high school resources here!